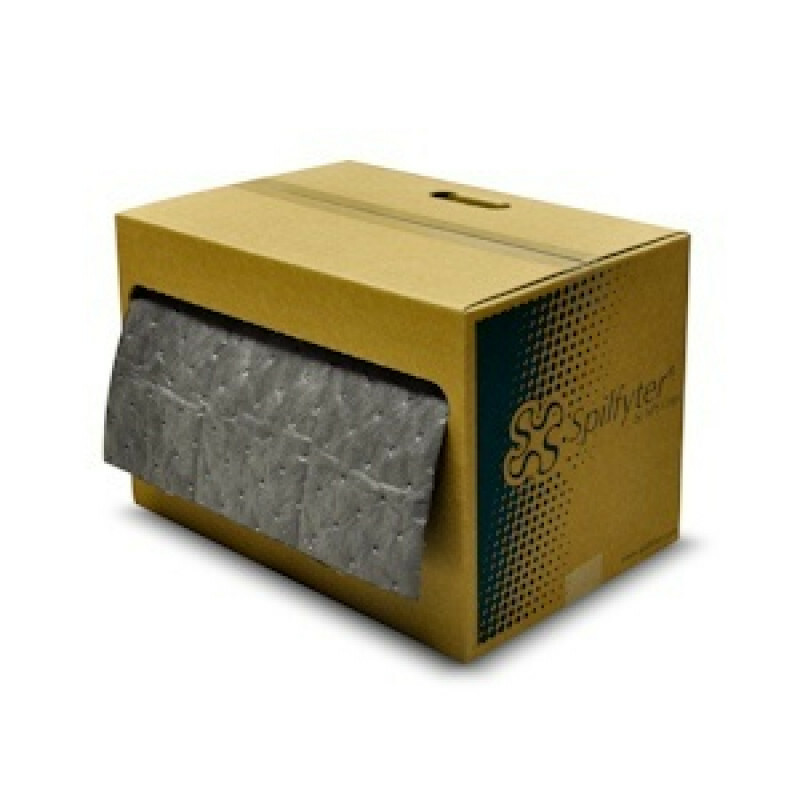 These absorbent rolls are capable of absorbing up to 10 gallons/case and does not allow any absorbed liquids to escape. Easy-tear perforations allow you to only take what you need so you save more money by using less mat. It can be used under machinery and for cleaning up water-based messes. These absorbent rolls can also be used for keeping walkways and high traffic areas dry to minimize injuries. An added benefit is that it is compliant to OSHA's standard and is dimple bonded for additional strength and quicker absorbency. This is a review for the 15" x 75' Universal Sorbent Matting.